Authentic spiritual inquiry reveals the joy of fresh insights and revelation, just as artistic or scientific inquiry does, but if we cling to the latest insight as a thing we know, that thing grows stale. To be of real spiritual value, inquiry must be alive and fresh. Regardless of what we remember or have discovered from the past, each time we truly inquire, we return to not knowing what the outcome will or should be. No doctrine is needed for discovery. No concepts of multiplicity, duality, or non-duality are needed. In fact, we must put aside all of our doctrines and concepts for our inquiry. All that is needed is the willingness to be unattached to the outcome, conscious, and truthful. Deep inquiry is not for the fainthearted or weak-minded. It is for those who are ready and willing, regardless of fears and discomforts. It is the challenge and invitation to mature. It is the invitation to give up past reliance on others' discoveries while allowing those discoveries to encourage and even push us into our own inquiry. Inquiry is not a coping mechanism. It is not present in human consciousness to provide certainty or comfort, except the sublime certainty that one has the capacity to discover truth for oneself. It is a stretching mechanism. It calls on the mind to stretch beyond its known frontiers, and in this way inquiry is support for maturing and evolving the soul. It frees us from the need to define ourselves to experience being ourselves. It is both humbling and a source of profound joy, but it does not provide a neat package of new definitions and stories. The challenge in inquiry is to be willing to directly discover what exists with no reference points. Inquiry is no small challenge, for it requires facing the death of the inner and outer worlds as they have been constructed with no knowledge of what will take their place. We have the experience of releasing our constructed world when we fall into sleep, and we cherish and need this experience for our well-being on all levels. The challenge of inquiry appears in releasing the constructed world while remaining conscious. 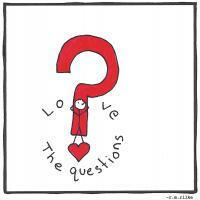 Seed questions for reflection: What does deep inquiry mean to you? Can you share a personal story around fears that you had to overcome in order to engage in authentic deep inquiry? What do you understand by "releasing the constructed world while remaining conscious?" Inquiry and observe are two different functions. Inquiry is to try to find out about a particular thing. It is done when one has free time and is in pursuit of spiritual elevation. There will be always questions as to why, what, how etc. which after reading one will have to set time to inquire from within what you are searching for and what you have read. Reading is at an intellect level where as inquiry in this case is at the heart level. Observe can be taken in two ways. First one is what Ganoba has written about. One sits and watches goes thru the mind. The other one is to sit in observation something which is bugging you and see what kinds of thoughts or pictures come about that topic so you can then decide how to deal with it. This is my understanding from Holistic Science which is the science of the vitragas (Vitrag = enlightened spiritual masters who have achieved perfect knowledge by conquering anger, pride, deceit, and desire). I don't like the word inquiry. We just observe with a blank mind, no theories, no reference points, no expectations of a particular outcome. Just a child like wonder. For that to happen we need to say namaste to not only Gangaji but all the scriptures. A tough call in deed. When I allow my faith to create an opening in my nothingness I notice a profound peace and stillness where everything is arising and disappearing. I feel an underlying depth within this void and my fear is not sticking in my consciousness. The stillness feels like a clarification of my boundaries around being nothing. It is as if this stillness can see through the boundary and walk into this nothingness with transparency. There is clarity and this immense intelligence of Essence that allows everything to pass through. This inquiry into my void is allowing nothing stick in my conscious, especially my madman who imposes patterns on every circumstance. For me Deep inquiry is understanding who you are? when you enter in the process we find our craving and clinging and that creates a fear in us. If we can observe that without judging it slowly weakens and gives more insight of who you are and it leads to deep inquiry and it is a long journey and we can see division of mind knower and doer and we have to still the doer thus it leads to "releasing the constructed world while remaining conscious?" Deep inquiry is '" Who am I?". " releasing the constructed world while remaining conscious" it means to me is "be the seer and knower". Somehow, to me, it boils down to death, and how we can prepare - the challenge of inquiry while we can live and practice, is warm up, sort of. That's quite a thorough and excellent statement about inquiry. I like the author's emphasis on releasing one's constructed world, being detached from any doctrine or expectation of what the outcome should be and being wide open to learn. That's real inquiry, and the times of doing that are exciting. Authentic spiritual inquiry means being truly open to truth wherever I find it and whatever it is. The fear for me to overcome in order to engage in such inquiry is the fear of where it will take me, how far will I go from what I was taught I was supposed to believe, how far will I go from people and doctrines I was attached to. For me, "releasing the constructed world while remaining conscious" means to let go of the constructs I had learned and be aware of what is, see with open eyes, hear with open ears, without the filter of learned reference points, doctrine, or prejudice. Sometimes I think I'm doing a good job of that only to realize I'm immersed in some belief or bias that I have, and I'm looking for information to fit my constructs rather than being open. It's very hard to know when I'm caught in or free of my constructed world. Listening to feedback from others helps, but I can overcome that too. I forgot to mention that if one notices one is faint of heart, that may be a condition for them to become less faint if that is what they wish to be. I do not know how faint in the sense the author is using the term relates to being no one going nowhere. Being no one going nowhere may be like noticing one is not separate and that one is somewhat like a hologram,one with everyone and everything. In the past I thought I knew what inquiry means. Now I do not know. In the past I was afraid of not knowing. Today I am much less afraid of not knowingand often cherish not knowing. What I understand by "releasing the constructed world while remaining conscious" is simply being open to what is. My noticing what is can change from moment to moment. The only constant I see is change. I have written about functional discontinuity. If a teacher provides conditions whereby a student becomes somewhat perplexed or stuck, and provides conditions of freedom and a responsive environment, the student can then unperplex and unstick herself or himself.. Schools generally do not provide these conditions which facilitate open inquiry. a discontinuity, he focused on, can help one build a larger continuity. The largest continuity is noticing that one is one with everyone and everything. I believe inquiry must be open in order for it to be inquiry. To paraphrase Gandhi: There is no way to open inquiry. Open inquiry is the way. Some teachers think they can "use" inquiry to have students discover what the teacher or book wants them to discover. That is not open-ended inquiry. I now know that I wish everyone warm and kind regards. I know very little and am pleased about it. When I grow more, I will notice that I am not a separate I who inquires or even a separate I who does not know. As Lao Tzu said: "The way that can be said is not the way." To me, inquiry is a curiosity to understand me and others in my life. The starting point and the continuing point is me and that ongoing process includes the outer world the people I relate to. Openness, mindfulness and courage to be myself are important ingredients of this process.It is not always joyful to me to discover and face the inconvenient truth about myself. This is where the push from within to continue working on myself helps me. At times, the process slows down and it picks up and continues.It is marked with ? (question marks), ! (wonderment), pause and excitement. For me deep inquiry means questioning within and not outside. In my journey of introspection the biggest fear that I am now coming to terms with is the fear of the unknown. Everytime I would think of the unknown, only negative thoughts would emerge as my concept and understanding of the unknown always meant and triggered a sense of discomfort. Slowly as I began facing upto that energy I realized that the unknown can also be something positive or a deeper sense of emotion or a new aspect of my own self.